Our unit at the Napili Point Resort has been completely remodeled. Both bathrooms were remodeled, replacing vanities, sinks, faucets, shower valves, tile, etc. 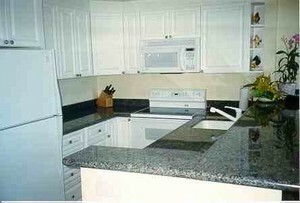 The kitchen has new cabinets, a new granite counter top, new sink, and all new appliances. The living room has a new sectional sofa/bed and an entertainment center with a 32 inch TV. Both bedrooms have all new furniture. 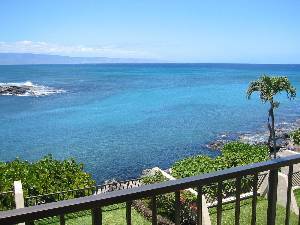 The Napili Point Resort is a low rise, ocean front condominium resort located directly on the ocean and Honokeana Cove. 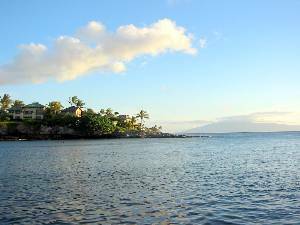 The resort is located a few miles North of Lahaina and Kaanapali and just south of Kapalua Bay and Napili Bay. 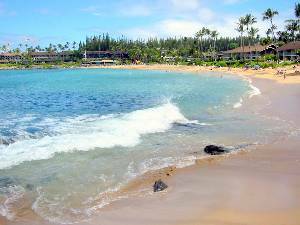 The beautiful Napili Bay white sand beach is just a short walk along an oceanfront path. There is excellent snorkeling at the resort (Honokeana Cove). Many turtles live in the cove and are a real treat to observe. 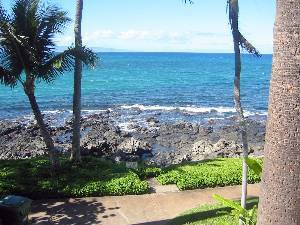 From the lanai you can view the turtles and sometimes dolphins (and whales in season!). 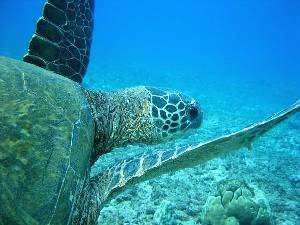 Snorkeling is also very good at Kapalua and Napili Bays, with-in easy walking distance. Golf and tennis are available at the Kapalua Resort. The Kapalua West Maui Airport is less than five minutes away. Kahului Airport is about a 50 minute drive, depending on traffic. The Napili Point Resort has two swimming pools, with nearby outdoor barbecue grills (both gas and charcoal), and picnic tables. Next door is a convenience store and two restaurants. 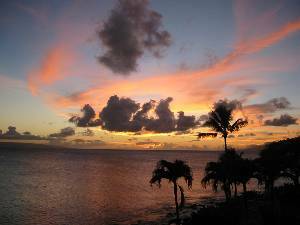 At Napili Bay and at Kapalua there are several more excellent restaurants. Napili Point Resort, Unit C-20, has an ocean front view from its private lanai, and from the living room and master bedroom. The living room has a 32 inch color remote controlled TV with cable and VCR. There is also a stereo CD/cassette/tuner system. A small selection of CD's, audio, and video tapes and books are available for guest use and videos are available for rent at the nearby Napili Market shopping center. Ceiling fans are located in both bedrooms and the living room. The fully equipped kitchen has a microwave, coffee maker, conventional oven and stove, refrigerator/ice maker, and dishwasher as well as a full supply of glasses, dishes, and cooking utensils. The upstairs bedroom (loft style with bathroom) has a king size bed, a TV with cable and remote control (and sleep function), and spectacular views. The downstairs bedroom has twin beds and a TV with cable, remote control, and a video player. 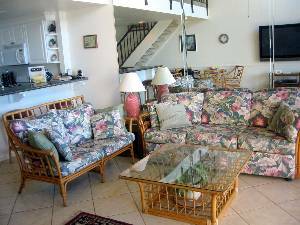 The private lanai is furnished with a table and four chairs and a lounge. The unit has a clothes washer and dryer. beach 150 yards along an unimproved ocean front path. fabulous. We like to eat in and your kitchen worked marvelously. Now through December 21 $271/night with each 5th night free. Deposit: Deposits: One night's deposit per room must be paid by credit card at time of reservation. For Christmas and High season, two night's deposit is required. Amex, MC, Visa, and Discover cards are accepted. Cancellations and Refunds: Cancellations: Full deposits are refunded only if cancellations are made: 45 days prior to arrival for stays between Dec. 22-Dec. 31. 7 days prior to arrival for any visits between Jan. 1-April 15 and June 16-Aug. 31. 3 days prior to arrival for any arrivals April 16-June 15, and Sept. 1-Dec. 21.